For a look both rich in texture and rustic in its appeal, choose the Suede and Brocade Medieval Dress. 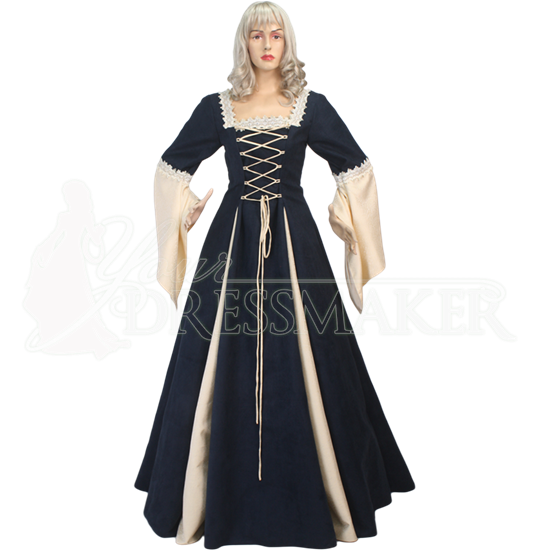 The faux suede fabric is softer and lighter than traditional suede, making this historic dress both comfortable and stylish. Handmade with attention to detail, this one piece dress features a darted skirt with inner panels of brocade in a contrasting cream color. The front of the bodice is laced up with adjustable, criss-crossing cord matching the brocade panels, while the adjustable laces on the back appear in a dark color to match the faux suede. Ornate lace outlines the square neckline and marks the transition of the sleeves from a fitted style to an elegantly draping handkerchief style. 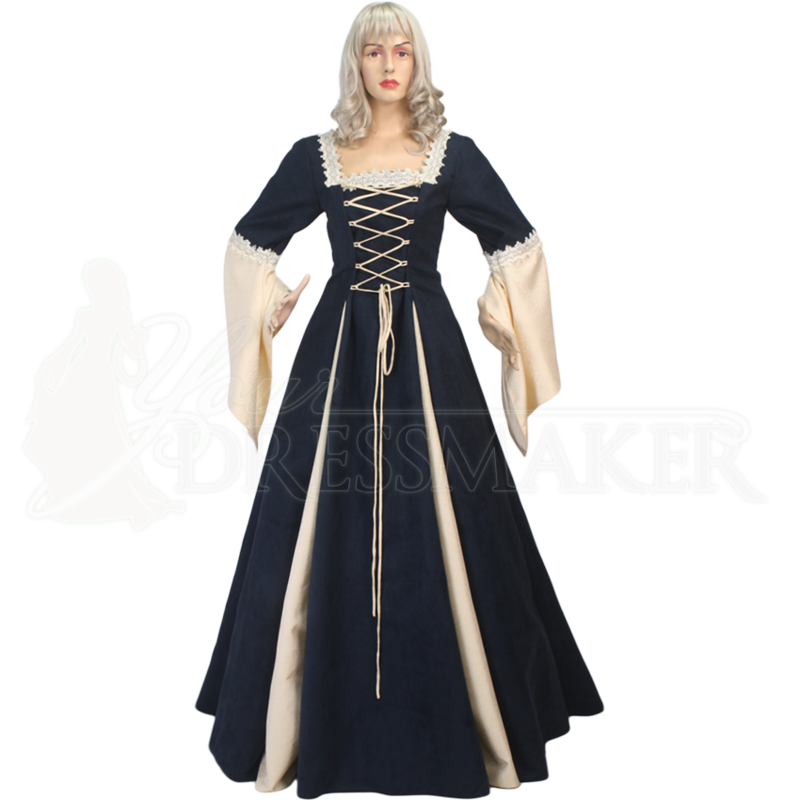 The versatile and elegant appeal of this dress makes it appropriate for Renaissance festivals, medieval LARP, and other historic reenactment events. Wear it with an A-line petticoat, sold separately, to accentuate the volume of the skirt as pictured here.